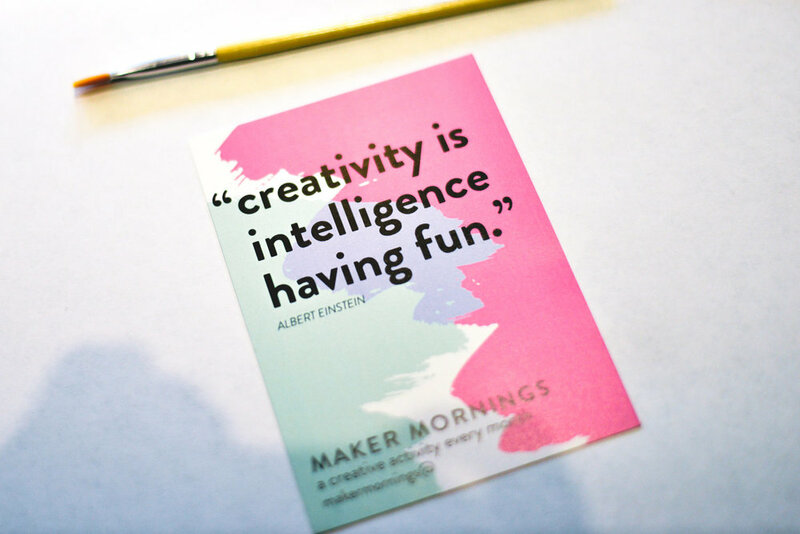 Maker Mornings is a monthly event series at Amazon that provides employees the opportunity to step away from daily work and engage in a variety of creative activities. I developed Maker Mornings after identifying a need to grow the creative community at Amazon and build an outlet for artistic expression. Each event is led by a different creative at Amazon. The goal is for everyone to share an activity that they love with the Amazon community. The creative activities at Maker Mornings are purposely unconstrained in order to promote the maximum amount of free expression. Incorporating free-form creativity in the workday reduces stress, improves motor function, and helps people think in a completely different way than they do in their normal job roles. Today, the event draws over 150 attendees from across Amazon. Attendees range from designers, product mangers, and developers. It is a time to build new relationships with others outside of their discipline. For the first Maker Mornings event, we hosted a watercolor activity. 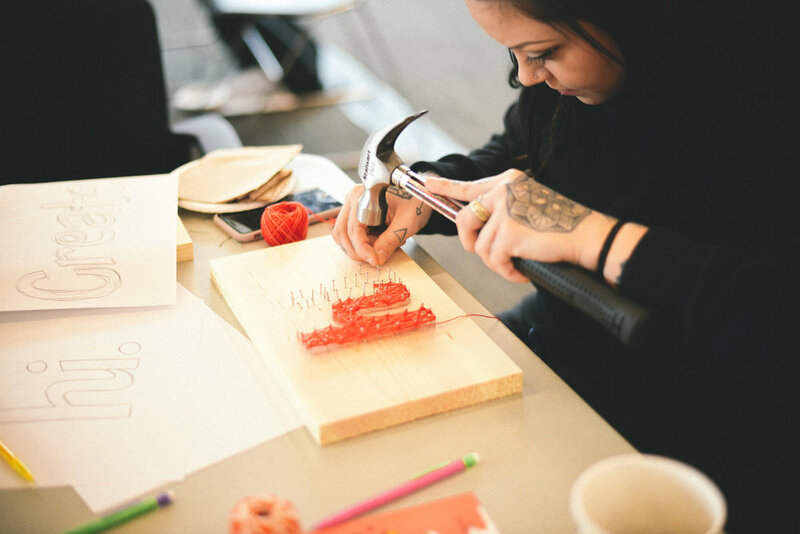 This March, we hosted a tactile type activity.